Like it or not, the holiday season is just around the corner -- and hedge fund pros already have their chips stacked on where they think you might be shopping. NEW YORK (TheStreet) -- Like it or not, the holiday season is just around the corner -- and hedge fund pros already have their chips stacked on where they think you might be shopping. The National Retail Federation revised its forecast for 2015 retail sales growth to 3.5% from 4.1% last month, citing "unexpectedly slow growth" during the first half of the year. Hedge fund pros such as George Soros, David Einhorn and Warren Buffett are among those looking at the retail space and picking out which companies they anticipate will fare best. Looking for retail stock ideas? Here are six consumer shopping picks drawn from the most recent round of 13F filings, which reflect holdings as of June 30. George Soros' Soros Fund Management purchased a small stake in mall-based specialty apparel retailer Aeropostale (ARO in the second quarter of 2015. The firm's latest 13F filing reveals 210,800 shares valued at $341,000. 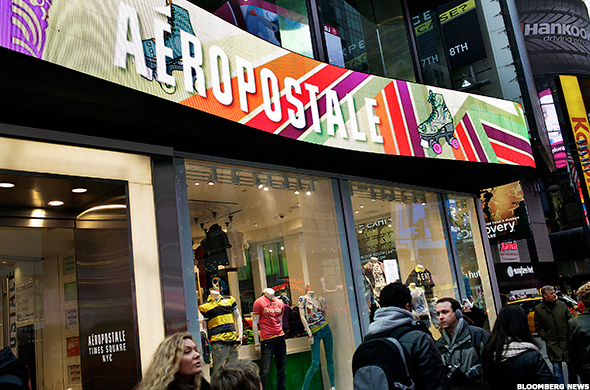 Aeropostale will make its next quarterly earnings announcement on Aug. 27. It last reported financials on May 21, including a 20% decrease in net sales to $318.6 million from the year prior and a net loss of $45.3 million, or 57 cents per diluted share. At the time, the company also said it expects operating losses of $37 to $43 million for the second quarter, meaning a net loss of 52 cents to 60 cents per diluted share. However, it also appeared hopeful of a light at the end of the tunnel. "As I have said previously, the back-to-school period represents the time when all of the disciplines and strategies we have instituted over the last nine months should come to fruition," said CEO Julian Geiger in a statement. "To prepare for this key selling season, we are focused on optimizing the quantity and composition of our merchandise to ensure a successful back-to-school launch. We are enthusiastic about seeing the results that this key period will bring." David Einhorn's Greenlight Capital picked up a new stake in Dillard's (DDS - Get Report) in the second quarter of the year. As of June 30, the fund holds 375,000 of the company's shares, valued at $39.4 million. 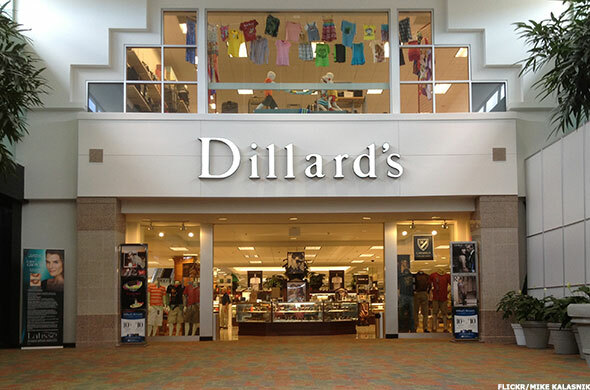 Dillard's is a retailer of fashion apparel, cosmetics and home furnishing. It operates 274 Dillard's locations and 23 clearance centers across 29 states. The company reported second-quarter earnings on April 13. Even though its profit declined, it exceeded analysts' estimates. Net income fell to $29.9 million, or 75 cents per share, compared to $34.5 million, or 80 cents per share, the year prior. Analysts had anticipated earnings of 72 cents per share. "While we achieved positive comparable store sales, we were disappointed with our overall performance compared to the prior year," said CEO William T. Dillard, II in a statement. "However, from our strong cash position, we returned $208 million to shareholders under our share repurchase program." Larry Robbins' Glenview Capital bought into Gap (GPS - Get Report) in the first quarter of 2015 and has boosted its stake since. As of June 30, the fund holds nearly 6 million of the apparel retailer's shares, and the position is valued at $228.8 million. On Aug. 10, Gap reported net sales for July of $1.12 billion, compared to $1.17 billion during the same month in 2014. It also said its second-quarter net sales fell 2% to $3.9 billion from $3.98 billion last year and noted that it had been hurt by the strong dollar. Its Old Navy brand proved a bright spot and delivered another consecutive quarter of growth. 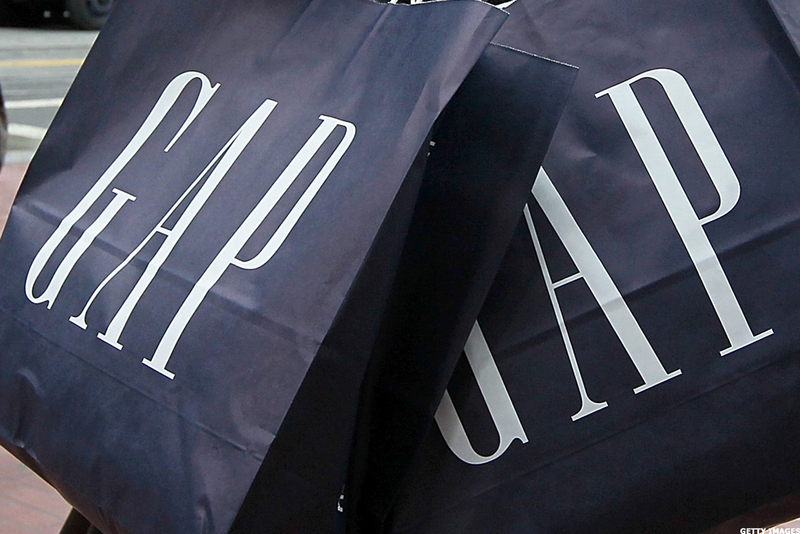 Gap will report second-quarter earnings on Aug. 20. It expects adjusted diluted earnings per share to be 63 cents to 64 cents. 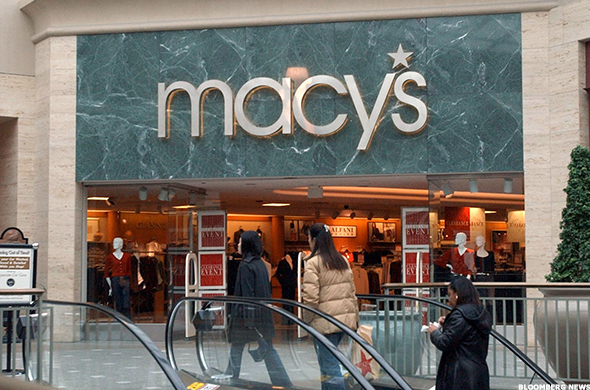 Greenlight Capital initiated a stake in Macy's (M - Get Report) in the first quarter of 2015 with the acquisition of nearly 1.7 million shares. As of June 30, it had downsized its position; however, it still holds more than 1 million shares worth $68.7 million. In early June, Reuters reported that several hedge funds had asked the department store company to consider options for its real estate, including selling major sites and leasing them back. The report said it was unclear which funds specifically had approached Macy's management but pointed to Greenlight as a possibility. On Aug. 12, Macy's reported second-quarter numbers, including earnings of 64 cents per diluted share for the period compared to 80 cents a year ago. Sales fell to $6.1 billion from $6.3 billion in 2014. "We are disappointed in our second-quarter results, which were impacted by a variety of factors, both internal to the company and in the macroeconomic environment. We expect an improvement in trend beginning in the second half of 2015 based on a range of promising new strategic initiatives, including those initially announced in January, which we believe will transform our company in the years ahead," said CEO Terry J. Lundgren. Macy's encouraged investors to look to new initiatives on the horizon and announced an agreement to sell one of its properties in downtown Brooklyn. It also said it has retained specialized real estate advisers to "intensely study its real estate portfolio to determine where opportunities exist that would further enhance the value of the company." Leon Cooperman's Omega Advisors bought into Sears Holding Company (SHLD in the first quarter of 2015 and upped its stake in the second to 1.6 million shares valued at $42.1 million. Bruce Berkowitz's Fairholme Capital increased its Sears holdings slightly as well, and company CEO Edward Lampert's RBS Partners remains a shareholder as well. Sears has had a rough go of late, and the performance numbers revealed in its Aug. 3 second-quarter update were no exception. Comparable store sales quarter-to-date through July 25 were down 10.6%. 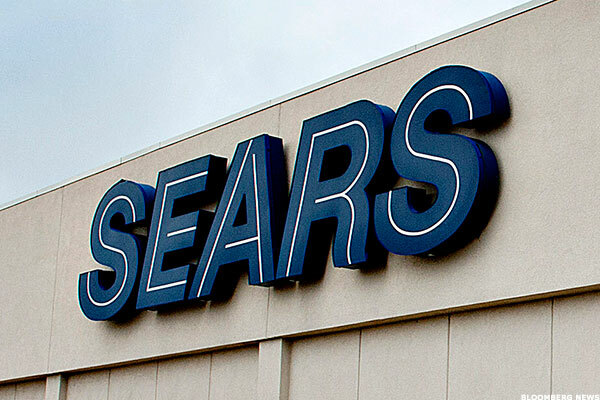 However, Sears management believes things to be on the up-and-up and said it is on track to post its first profit since 2012 -- largely the result of spinoffs, lender negotiations and sales of its stores to a real estate investment trust. The company also announced a cash tender offer for up to $1 billion. It is worth noting that not everyone is buying Sears' turnaround. Steve Mandel's Lone Pine Capital has had a long-standing put option on the retailer across several quarters. As of June 30, the stake is valued at $57.8 million. 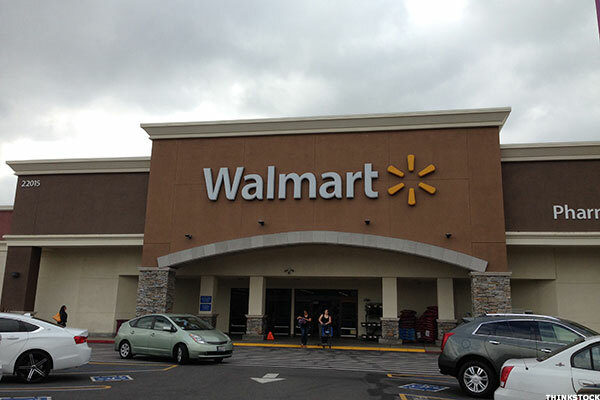 Warren Buffett is a longtime Wal-Mart (WMT - Get Report) investor. Not only is the discount retail giant his fifth-largest holding, but it is also among his top dividend-paying stocks. As of June 30, his Berkshire Hathaway (BRK.A - Get Report) (BRK.B - Get Report) owns 60.4 million Wal-Mart shares worth $4.3 billion. Walmart released second-quarter financials ahead of market open on Tuesday, missing analysts' estimates and cutting guidance. The company reported earnings per share of $1.08, down from $1.21 in 2014 and below the consensus estimate of $1.12. Revenue was $120.2 billion, up from $120.13 billion last year. It cut full-year earnings-per-share guidance to the range of $4.40 to $4.70 from a previous range of $4.70 to $5.05. A number of factors contributed to its decreased profit, including pressure on margins in its U.S. pharmacy business, higher-than-expected shrink (meaning loss due to theft) and the decision to increase worker hours.